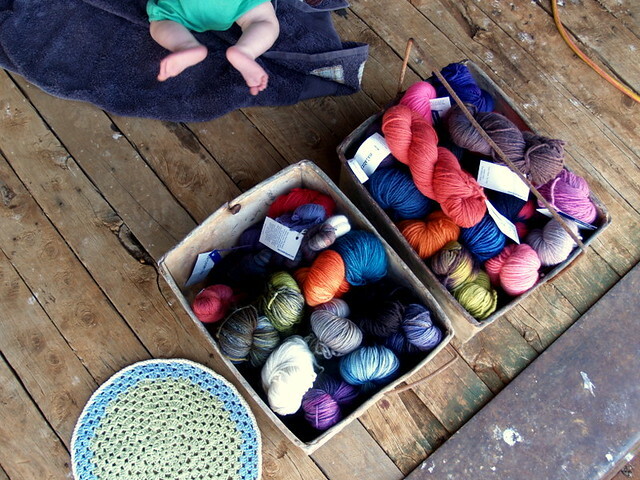 This week while DH pressed wool in the shearing shed I bundled up the kids, grabbed 2 big tins of yarn, my trusty old camera and in-between helping him out was able to snap a few shots for my new website. So yesterday after a full day in town with AWESOME Internet connection I uploaded pictures to my Website and am so excited to launch it today!!! !